What is the 3.0 era of digital television? The China International Broadcasting and Television Information Network Exhibition (CCBN) was held in Beijing a few days ago. 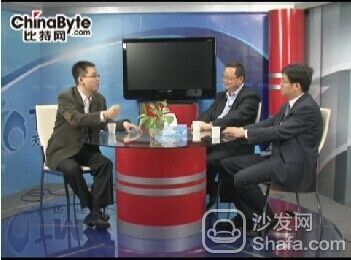 Bit network value this opportunity invited to "China Digital TV" magazine publisher and editor-in-chief, Xu Jiangshan, Chief Engineer of Shenzhen Tianwei Video Co., Ltd., Tianbo (Group) Co., Ltd. Chairman Lu Pin as a guest "Programs, discussing the development prospects of CCBN and radio and television digitization. Moderator (burden): From a worldwide perspective, because the world is flat, we have to look at the experience of the entire world. North American network operators, especially cable network operators, are the fastest growing. Of course, North America has its own characteristics. They may be in the administrative legislation. At that time, they adopted a model that helped cable development. Similar services such as ComCast and Time Warner Cable have all been very large. I see a latest news that they are also doing their own online television, Internet-based Internet TV. There is another term, I heard, but it is not very understandable. It is called Cable 3.0. Do you have any research on this subject and what is its evolutionary process? Xu Jiangshan: Just now Lu Zeng mentioned Web 2.0. Its definition is mainly a kind of participation. There is also a definition of Web3.0, cable3.0, this 3.0 is mainly about personalization, is to meet the user's personalized service. In the interface of the Internet, people may now feel the service brought by this Web 3.0, such as the user Dangdang.com, it will have "My Dangdang", according to the records based on the browsing, the records of the books, and any other purchases. Things record, to recommend similar products to users, this is a kind of CRM (Customer Relationship Management, customer relationship management) concept. We can also do this in our TV platform. Because on the digital TV platform, the content of the future is just like the Internet. It is a kind of ocean. Users can't find it, but we can recommend it. According to the user's search history, recommendations are made according to his interests. Moreover, the user interface may also be an interface that conforms to his hobbies and interests. For example, when the interface comes out, â€œMy TVâ€, â€œmy gameâ€, and the like are on the top. For some services like this, we can also achieve some of its appeals through the interface. At the same time, based on the era of the Internet, point-to-point authentication or transmission can also be achieved on television to meet the individual needs of television users. Moderator: Equivalent to the user's behavior analysis, and then push the past, the amount of data to be analyzed in this analysis, the amount of work to deal with, the amount of calculation is also more complex and relatively large? Lu Pin: In fact, the concept of 3.0 has already begun commercial operation in the United States. Because, two years ago, the Internet world began to popularize a method called "creation". As a personal hobby, you created a method to fill in a certain column and window, and after I went in, my The computer is my own arrangement. In fact, everyone is not used to knowing these things. Now everyone's PC is bought by the Windows operating system, and then everyone's system is almost the same. However, televisions, especially those with digital TV, will surely find that the digital TV boot screen at home is exactly the same as all other neighbors. A city is a picture. This is obviously something that Xu Zong said. come out. Personalization is really easy on TV. You just turn the web into interactive two-way. All expressions, start-up screens, and application menus can be changed by the download method and are now implemented in mobile phones. 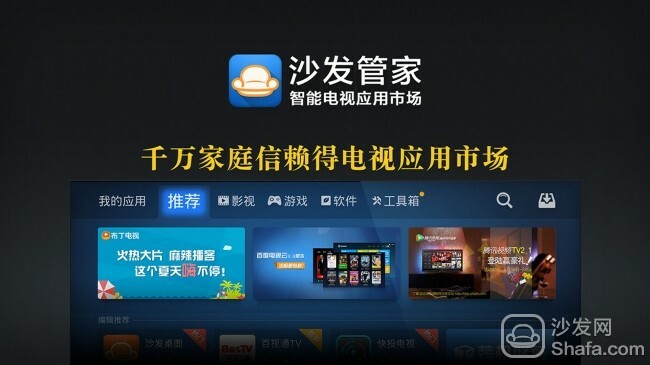 Now the method of foreign adoption of TV Viget is also being done. Google is taking the lead and pulling Intel and other large companies are doing this. However, we China does not need to be as complicated as they are. If we move an Internet Viget to a TV, it takes only one year for the development time alone. However, the Chinese government has done a very beautiful thing. The Ministry of Industry and Information Technology has already set a standard specification for China's digital TV application software. It puts forward the concept of using Java as a virtual machine. Once a JAVA virtual machine is built in, all applications are Can be written in JAVA, mobile phone is a typical. The software of all operating service providers on mobile phones has been considered in the early years to use this software for a certain version of a mobile phone. Now that it has been very small, all the software can be downloaded to a new mobile phone because the mobile phone supports JAVA. Similarly, I think that the future set-top box can support JAVA, then all the application software, including netizens, can develop their own software for the home TV, or download it directly. The word â€œpersonalizationâ€ is particularly important. People are such advanced animals with special characteristics. They want to live in groups and like to show my qualities. Otherwise, everyone is the same, so this is indeed a key point. Xu Jiangshan: Radio and television have a concept, slogan, that is "scale of operation, personalized service." Moderator: The network should reflect the advantages of scale, but business services should reflect the individualization. Lu Pin: Because users always pay for services, if there are only popular services, users are not satisfied, they will not pay, and they will not make any money. Xu Jiangshan: Only personalized service can improve user satisfaction and loyalty. Moderator: Users can stay online and stick to the Internet. And the longer it sticks here, it will try new business. In fact, the user also gets a lot of pleasure or some useful value in the use process. Xu Jiangshan: According to the UI (user interface) we are talking about, it is now broadcasting, narrowcasting, advertising, narrow reporting. Narrow report is for a group of people, such an advertisement, focusing on it to give people a fixed point of advertising, which is also reflected Web3.0, or cable3.0 concept.